The local law enforcement works to educate the population on topics of personal safety. A popular program covers scams over the internet, mail and phone. Law enforcement in the past has done presentations for local civic organizations including AARP. Cuero residents and business owners can register a call-back number with the City's contracted emergency alert service — FirstCall. In the event that an emergency is declared in the Cuero area, residents and business owners will be notified of the danger, via their registered phone number. Up to three residential or business phone numbers, as well as any mobile device with a valid phone number, such as a cellular phone or pager may be registered per street address. The Cuero Fire Department was recognized as an organized fire company in April of 1895. The Cuero Volunteer Fire Department incorporated in 2004 with a membership of approximately 50 volunteers. There are six paid drivers in the department today. The department has two main line pumpers, one backup pumper, a small quick attack truck, two tankers, a small and large brush truck, a booster truck, two rescue boats, and one rescue unit. Since 1982 the Cuero Volunteer Fire Department has hosted an Annual Area Fire School recognized by Texas A&M University. The Cuero Police Department has 16 full time (2 of which are Student Resource Officers) and 6 reserve police officers. It is the mission of the Cuero Police Department and its employees, in cooperation with the citizens of Cuero, to provide professional police services. Their mission is to enforce laws that ensure the safety and equal services to all individuals, through effective communication, continuing education, and ethical enforcement. We will build partnerships between the Cuero Police Department and the community to better serve and protect our future. 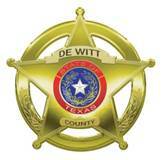 DeWitt County has fourteen deputies and twenty-six jailers. The Sheriff’s department conducts many programs throughout the year including Project Lifesaver (a program where a tracking device is worn by a person who suffers from some type of dementia) and Deputy Santa (a program which provides gifts to over 300 county children). Cuero Police Department has a total of 16 full time and 6 reserve police officers. This results in 2.6 police officers per 1,000 residents which is 14.5% less than the Texas average and 21.3% less than the National average. Cuero is safer than 8% of the cities in the nation. The crime rate in Cuero is less than 3% of the cities in Texas. The chance of being a victim of a crime in Cuero is 1 in 21. The chance of being a victim of a violent crime in Cuero is 1 in 85. 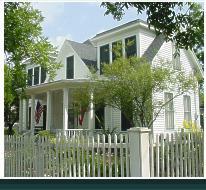 The chance of being a victim of a property crime in Cuero is 1 in 27. 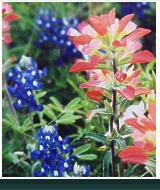 Texas 2013 crime rate is 3,653.7 crimes per 100,000 residents. 80% of Texas 2013 crime rate is 2,922. 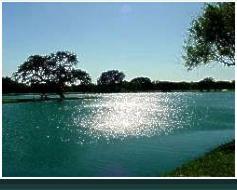 The City of Cuero’s 2013 crime rate is 4,906.5 per 100,000 residents in the report. This is more than the 80% of Texas crime rate.